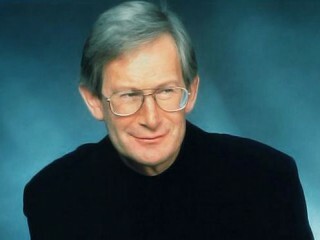 John Eliot Gardiner is an English conductor. He founded the Monteverdi Choir (1966), the English Baroque Soloists (1978) and the Orchestre Révolutionnaire et Romantique (1990). Gardiner has recorded over 250 albums with these and other musical ensembles, most of which have been published by Deutsche Grammophon and Philips Classics. Although he conductedall types of music, he is a renowned authority in a variety of17th and 18th century styles, and conducted Gluck's Alceste for the British Broadcasting Corporation (BBC) and Iphigenie enTauride at Covent Garden in 1973. He founded the English BaroqueSoloists in 1977, which he conducted in performances that featured original instruments of the Baroque era. Gardinerappeared in many of the major music centers of the world as aguest conductor. He was made an officer of the Ordre des Artes etdes Lettres in 1988, and a Commander of the Order of the British Empire in 1989 in recognition of his long, illustrious, andvaried career. Tim Page of the New York Times wrote, "Mr.Gardiner transcends syntax and goes directly to the heart of the music". Gardiner was born on April 20, 1943, in Fontmell Magna, a town in southwestern England. He was raised on a farm and his parents, Rolf Gardiner and Marabel Hodgkin Gardiner, enlisted him in the local church choir as a child. Gardiner had learned some of the early-music repertoire by the time he was thirteen. His family members enjoyed singing at home, and that's where Gardiner developed a rudimentary knowledge of Renaissance and early Baroque-period choral music. He told High Fidelity magazine's Scott Cantrell, "It became quite a tradition in the house to attract other good amateur singers, and we actually did a concert tour in Germany and Austria and did some pretty good adventurous programs." Gardiner's first major early musical influence was the material of Caludio Monteverdi. When he was six years old his parents took him to hear a lecture given by Nadia Boulanger on Monteverdi and to hear Walter Goehr conduct the composer's Vespro della beata vergine in Yorkminster. Gardiner listened to a taped radio broadcast of that work time and time again. He became a self-taught musician, and by the time he reached his teenage years he demonstrated an aptitude for conducting music. He attended the Bryanston School, and then worked with Palestinian refugees for the United Nations. Later, he studied Arabic, history, and medieval Spanish at King's College, Cambridge. As an undergraduate, he served as secretary of the King's College Music Society, and sang and played the violin in Berlioz-revival performances led by Colin Davis. In 1964, as an extracurricular activity, he founded the Monteverdi Choir for a performance of the Vespers at King's College Chapel. He was granted music funding from the Musical Society, and hired well-known professional singers such as Robert Tear and John Shirley-Quirk as soloists. He told Cantrell, "It took quite a lot of gall. The challenge was to use the best singers of Cambridge, all of whom were beautifully schooled in the English choral tradition, which is very polite and disciplined, and to see if they were capable of singing this very difficult music with the appropriate elan and commitment and, above all, vocal color." The performance was considered a landmark event, and music critics foresaw a successful future for Gardiner's Monteverdi Choir. After obtaining his master's degree in history, Gardiner decided he needed formal music training. He started by studying with harpsichordist and musicologist Thurston Dart. He earned a certificate of advanced studies in music from King's College at the University of London in 1966, and moved to Paris where he studied with Nadia Boulanger for two years on a French government scholarship. He also studied with Antal Dorati and George Hurst a protege of Pierre Monteux and apprenticed himself to the BBC Northern Orchestra in Manchester for two years. Gardiner prided himself on transcending academic concerns in music, but proved that he had an aptitude for scholarship when preparing new editions of Jean Philippe Rameau's Dardanus, Les fetes d'Hebe, and Les boreades for London concert performances between 1973-75. In order to mark the tenth anniversary of the Monteverdi Choir on April 19, 1975, Gardiner conducted Rameau's final opera, Les boreades, in London's Queen Elizabeth Hall for the first performance in modern times. Les boreades was subsequently presented as a fully staged production at the Aix-en-Provence Festival in 1982. By the late 1970s, Gardiner and his ensembles were in great demand throughout the United States and Europe. The Monteverdi Orchestra was renamed the English Baroque Soloists in 1978 after switching to original-period instruments. From 1980-83 Gardiner served as the principle conductor and music director of the Canadian Broadcasting Corporation's Vancouver Orchestra, and from 1981-89 served as the artistic director of the Gottingen Handel Festival in Germany. In 1983 the Opera de Lyon hired him as music director and asked him to create an orchestra for the company. Gardiner, a British early-music specialist, didn't see a contradiction in leading the sixty-member Orchestre de l'Opera de Lyon, and told Michael Oliver of Gramophone, "Once you've defined the repertoire, the problems are identical: you take a score...and you start thinking about what sorts of sounds the composer was expecting to hear." After successful critical acclaim, Gardiner left the post in 1988 to pursue other projects, but remained "chef fondateur" (founder head) and conductor laureate. In April of 1983 he led the English Baroque Soloists and the Monteverdi Choir in a lauded performance of Handel's oratorio Israel in Egypt at Lincoln Center's Alice Tully Hall in New York City. In 1989 Gardiner celebrated the silver anniversary of the Monteverdi Choir with an international tour that included the Unites States, India, Japan, and Australia. Gardiner also conducted the Philharmonic Orchestra at the Royal Festival Hall in London in 1989, in the premier of a new version of Debussy's La mer, as edited by Marie Rolf. A year later, he introduced with little acclaim a new period-instrument orchestra called the Orchestre Revolutionnaire et Romantique that was identical in personnel to the English Baroque Soloists. As a guest conductor, Gardiner led symphony orchestras in Dallas, San Francisco, Boston, Toronto, Montreal, and Detroit. He also led the New York Philharmonic, and the Orchestra of St. Luke's, with whom he made his Carnegie Hall debut in November 1988. In Europe he conducted the Philharmonic Orchestra, the Royal Philharmonic Orchestra, the Bournemouth Symphony Orchestra, the City of Birmingham Symphony Orchestra, and the Oslo Philharmonic. Gardiner has also reached a wide audience through his many recordings. Incredibly prolific, he was averaging seventeen releases a year by 1989 for the Erato, Philips, ARC, Argo, and London labels. His output included annual releases of Bach's major choral works, the complete Mozart piano concertos, a complete cycle of Beethoven concertos, and the latter Mozart operas. He received the Grand Prix du Disque in 1979 for Israel in Egypt, again in 1982 for Purcell's The Fairy Queen, in 1984 for Handel's Messiah, and in 1985 for Handel's Solomon. He was also accorded the Metropolitan Opera's Best Opera Recording honors in 1983 for Rameau's Les boreades, and voted Artist of the Year in 1994 by Gramophone magazine. -Symphonie Fantastique , Berlioz, Philips, 1993. -Motetten , Johann Sebastian Bach, Erato, 1995. -Danny Boy: The Music of Percy Grainger , Philips, 1996. -Leonore, Beethoven , Deutsche Gramophone, 1997. -Fruehlings Sinf. Flower Songs , Britten, Deutsche Gramophone, 1997. -Symphonische Taenze/Taras Bulba , Rachmoninoff, Deutsche Gramophone, 1998. -Sinfonien 1-4 , Schumann, Deutsche Gramophone, 1998. View the full website biography of John Eliot Gardiner.